STARTING SEEDLINGS: In early spring, start indoors about 2 months before night temperatures stay reliably 50-55°F (10- 13°C). 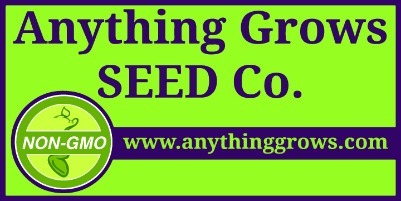 Sow seeds 1/4 inch deep and 1inch apart in a container of seed starting mix. Keep moist but not soggy, and very warm 80-85°F (27-30°C). Provide a strong light source until seedlings are ready to plant outside. When seedlings are 2 inches tall, transplant into deeper individual containers. Maintain at 70-75°F (21-24°C). Feed with half strength fertilizer every week until weather is warm enough to gradually acclimate seedlings to outdoor conditions. Transplant 2 feet apart into rich soil in full sun. GROWING NOTES: Chiles need warm conditions. Don’t transplant outdoors until night temperatures stay securely above 55°F (13°C). Prepare soil well with aged manure or compost. Plant only robust seedlings with well-developed roots. Mulch plants to maintain even soil moisture. Keep well weeded, watered and fertilized. 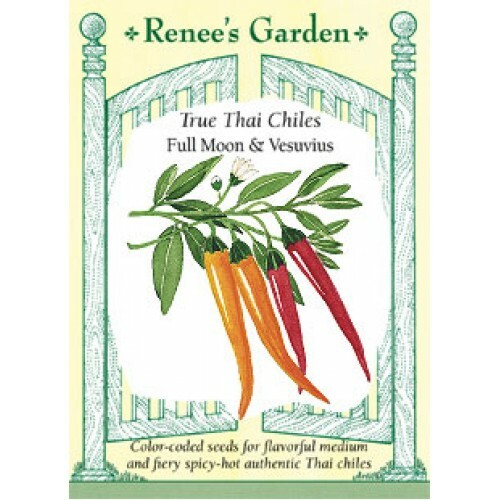 HARVEST AND USE: Harvest when chiles have a high gloss and are fully ripened to orange for the medium-hot Full Moon and red for Vesuvius. 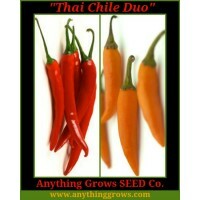 To dry for year-round use, cut whole branches of chiles or harvest individually and string from the stem end. Hang in a warm, airy location. 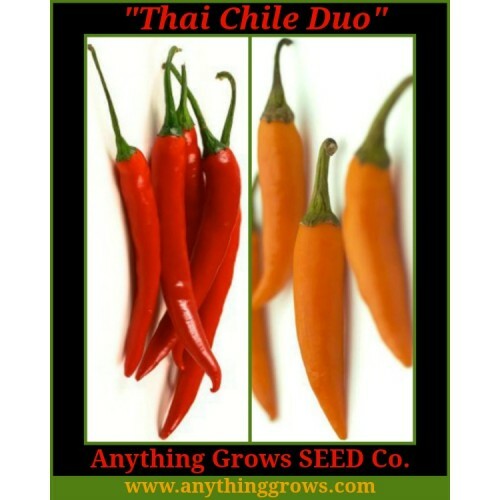 Use in all Thai and Asian stir-fries, sauces, salsas and marinades or dry and chop for spicy chile flakes to sprinkle on pizza.